An examination of Hancı’s work as a whole reveals qualities such as a complete devotion to modern architecture, a total mastery of materials and details and a continual cooperation with contemporary Turkish artists. Throughout his long professional career Hancı has never been affected by the growing antipathy towards modern architecture or the spread in Turkey of a Post-Modernist approach. The beliefs with which he started out have remained with him to the end. But this, in my opinion, was a reasoned decision and should not be interpreted as some sort of obstinacy or a lack of flexibility. The fact that a number of the important members of the younger generation of architects have turned once again to the stark, simple lines of modern architecture shows that the course he chose is still perfectly valid. This consistency, which Hancı is referring to in declaring “we formed the MİMAT image” should be labelled “the Hancı approach”. 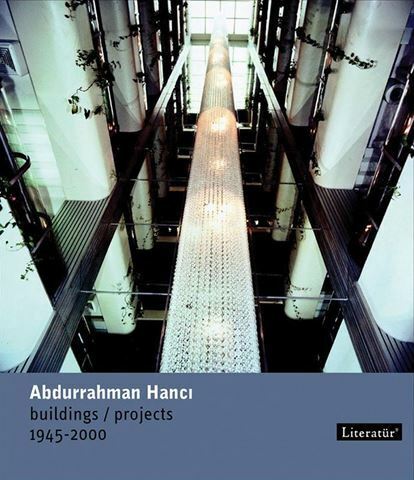 His mastery of materials and detail may well be the mark of a practitioner in search of perfection, a quality which, although not always sought in Modern Architecture, was one of Abdurrahman Hancı’s fundamental characteristics. With this aim in view, he is well known for his work with craftsmen on building projects and with artists in their studios. To me, he resembles Sedad Eldem and Nezih Eldem. In an environment in which teachers declare that there is no need for architects to produce preparatory projects or for them to worry themselves with the details, this is undoubtedly a very rare quality. Hancı is also distinguished from colleagues of his own and the following generation as an architect who has made extensive use of contemporary Turkish art. Bedri Rahmi, Füreya Koral, Erol Akyavaş and, above all, Mustafa Pilevneli were not only intimate friends, they were also artists with whom he worked very closely, whose help he enlisted and whose works he integrated in his projects.